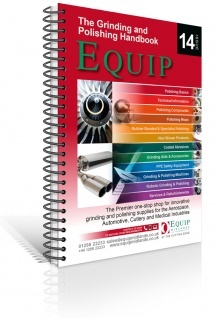 Equip have over 50 years experience in the grinding and polishing industry. From development to the solution Equip is here to help. We have a wide range of products to suit all your grinding and surface finishing requirements. Please check the products tab for more information on what product will be suited to you or alternatively you can contact one of our dedicated sales team with your enquiry.